When you are a DJ it is critical to choose a set of speakers that will provide great sound quality and are reliable. It is likely that you will be traveling quite often to various gigs and you will also need to invest in a set of speakers that are durable and reliable. As with any product, there are certain brands that are more popular than others. Brands gain popularity by having a stellar marketing plan as well as a great product that connects to consumers. Some brands rise to the top consistently, while others falter no matter how hard they try. This article will provide some guidance to help you select the most popular brand of DJ speakers that will fit with your equipment setup. 1. Mackie. This brand came to fruition in the late 1980s and was created by Greg Mackie. Greg worked for Boeing at one point in his career and built audio equipment as a hobby in his spare time. His products became so well known and took off as a great success which required him to relocate his shop from Washington to another location that could handle the quick expansion. Today Mackie is well known amongst professionals in the music industry and is well liked as a good brand within the confines of one’s home or place of worship. Mackie brand products are popular because they offer great quality at a reasonable price point and anyone can make great use of them. Whether you run a church youth group, DJ at weddings, or record your own music in a studio, the Mackie brand can support your goals. 2. Yamaha. Based out of Japan, Yamaha is a well known company that was born in the late 1800s. Since the beginning, Yamaha has specialized in musical instruments such as pianos, electronics, and motorcycles. Over the years, Yamaha has made great products that are of solid materials and are known to be of high quality. Consumers invest in Yamaha products as they are reliable and are a great value for the money. In addition, they can withstand the test of time and very rarely need to be replaced due to breakage or malfunction. While Yamaha is perhaps best known for their motorcycles and keyboards, their speaker systems do not disappoint. 3. Behringer. Created in the late 1980s in Germany, Behringer is owned by Music Group which is also houses other musical companies such as Midas and Turbosound. Well known for manufacturing guitar amps, amplifiers, and loud speakers, Behringer is popular amongst DJ’s as their speakers provide great sound quality. All throughout the 2000s, Behringer has won many awards from music industry leaders for their products. 4. Pyle. Born in the 1960s, Pyle gained popularity swiftly as consumers caught on to the technological advancements that their products offered. The speakers that set Pyle apart from other brands were the original “Pyle Drivers.” It did not take Pyle long to become one of the biggest players in the speaker industry which helped them break into the car audio genre in the late 20th century. 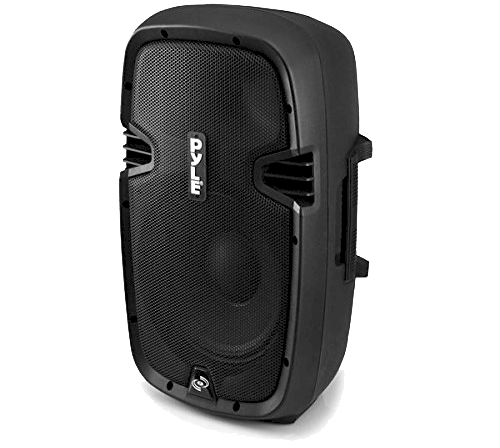 In the 2000s Pyle has great quality products in a variety of audio equipment genres including but not limited to musical instruments, professional speaker systems, in home systems, and car audio.